Your new smoking weapon of choice! A tonfa is a melee weapon used in martial arts that is simple yet very effective. This "Tonfa" Wig Wig UFO to Matrix Perc Bong follows the same principles, it features a straight tube design but with an extra fat top chamber for added diffusion. The extra long bottom chamber contains a UFO perc that will stack your smoke for the best possible filtration and flavor. Afterwards, your smoke passes through the top domes stereo matrix perc for a final round of diffusion before passing into your lungs. 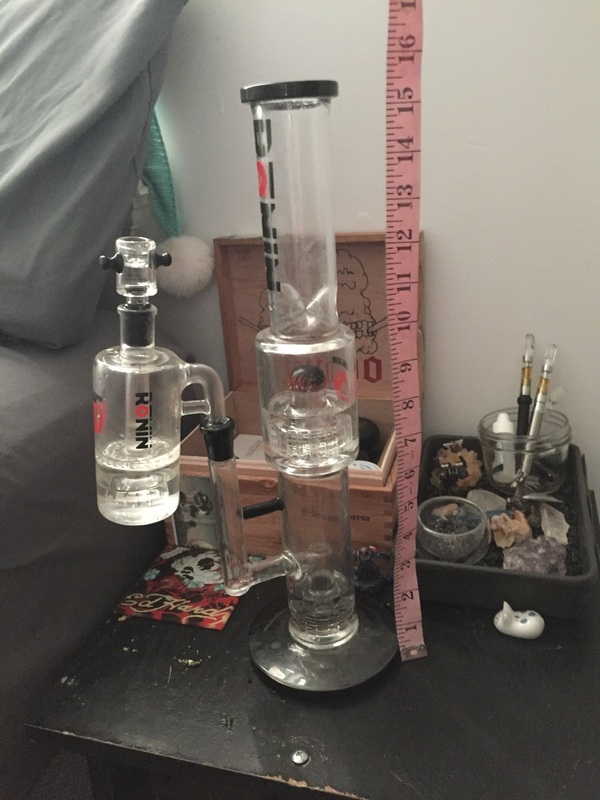 Available in either red or black colored accents that can be seen on the thick round base, dewar's joint, flared mouthpiece and on top of the domed matrix perc. The combination of the UFO Perc and the stereo matrix perc will give you a no drag smooth hit every time. The "tonfa" Wig Wag UFO to Matrix Perc Bong is a great addition to any glass collection. First I wanted to make a shout out to all the customer service reps who I emailed about my duplicate order during the 420 sale. Thank you for fixing my mistake when I forgot like a pot head to put the 20% discount code before purchasing. :relaxed:️ The “tonfa” is an amazing piece! 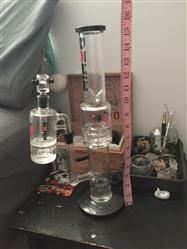 I was really looking for an upgrade, My previous piece was a 15” 12 arm tree perk with an ice catcher and a 3 6 slotted down stem and it was grate quality but felt like I should be ripping more. Well it did not disappoint. I also bought the “Gunbai” ashcatcher which makes it even harder to clear in one go. I would advise those with long hair it can get quite hot. last but not least I loved the fact that you could make 4 payment though sezzle but be warned the fine print reads 2 payments a month. Still very affordable and still outstanding. Glad you are loving your new piece, thanks so much for shopping with us and taking the time to leave an awesome review!